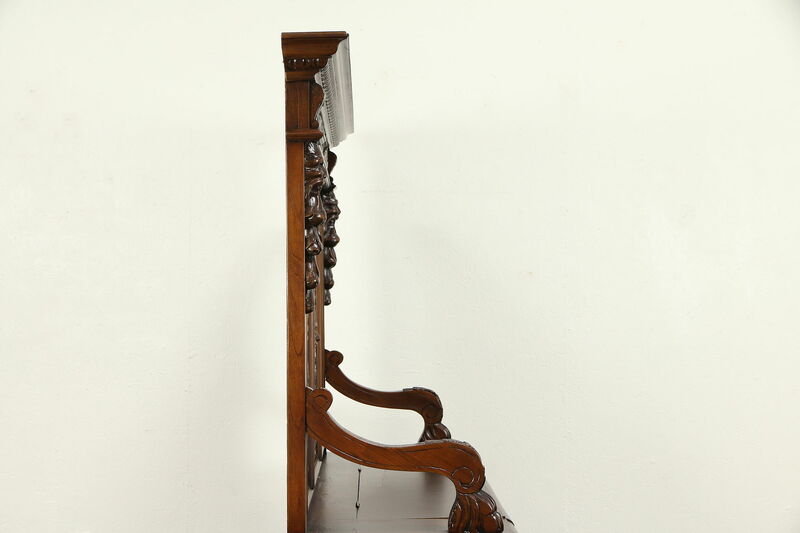 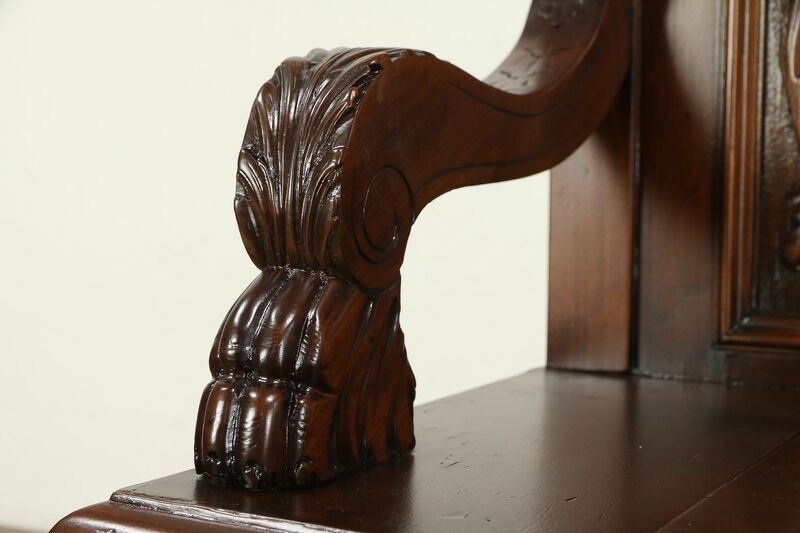 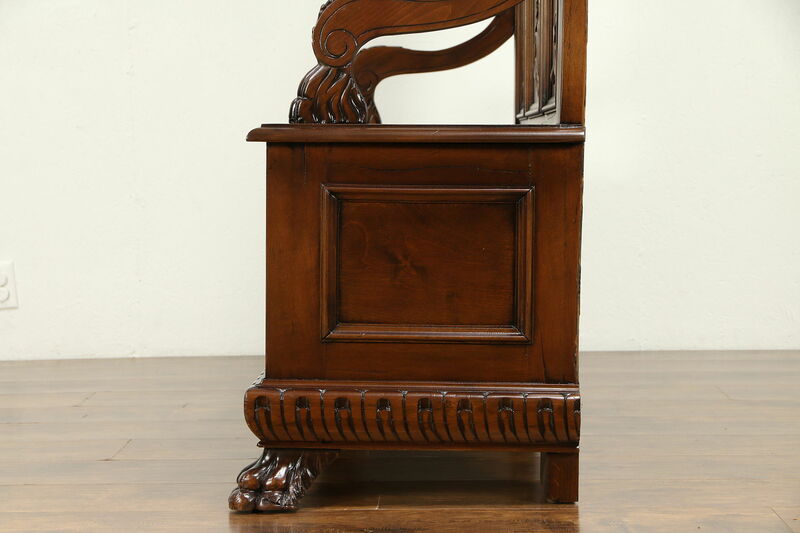 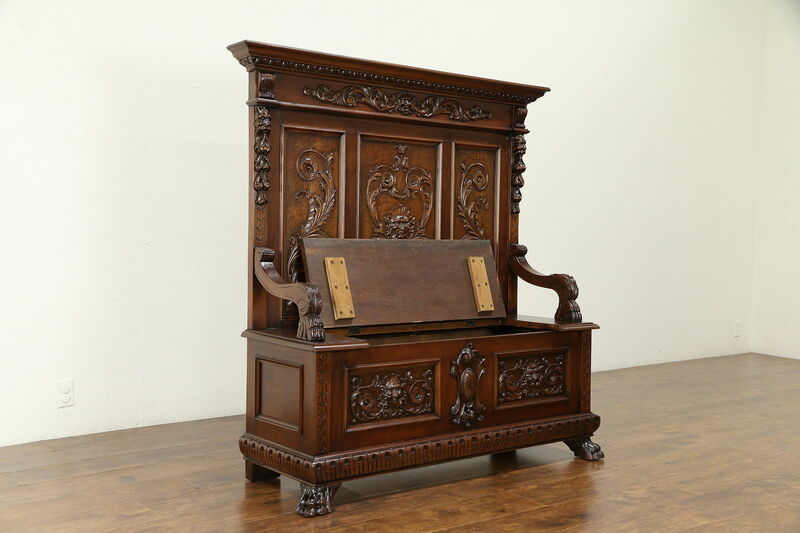 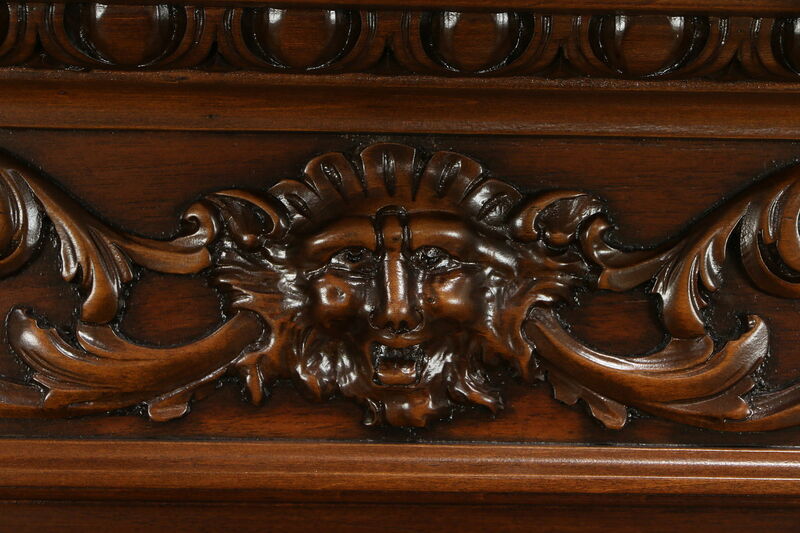 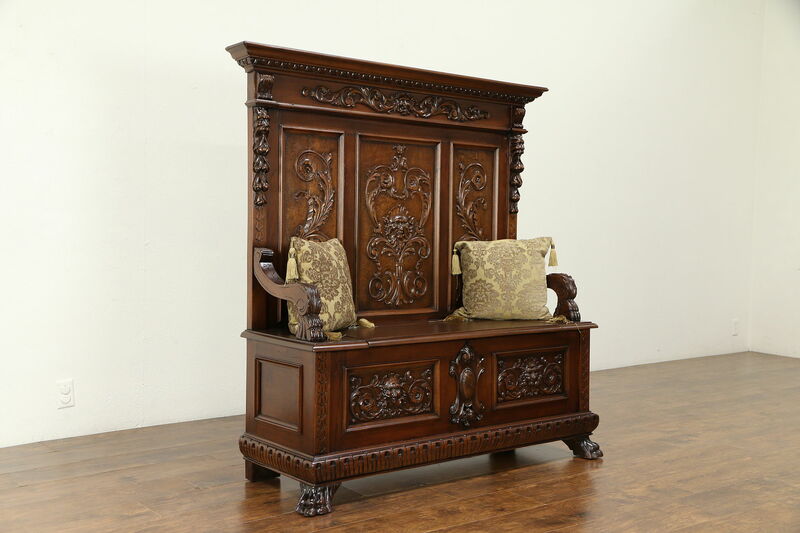 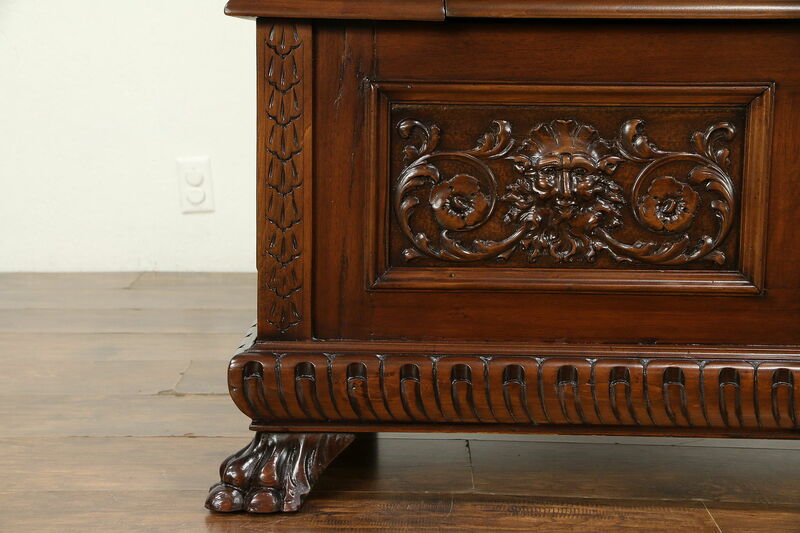 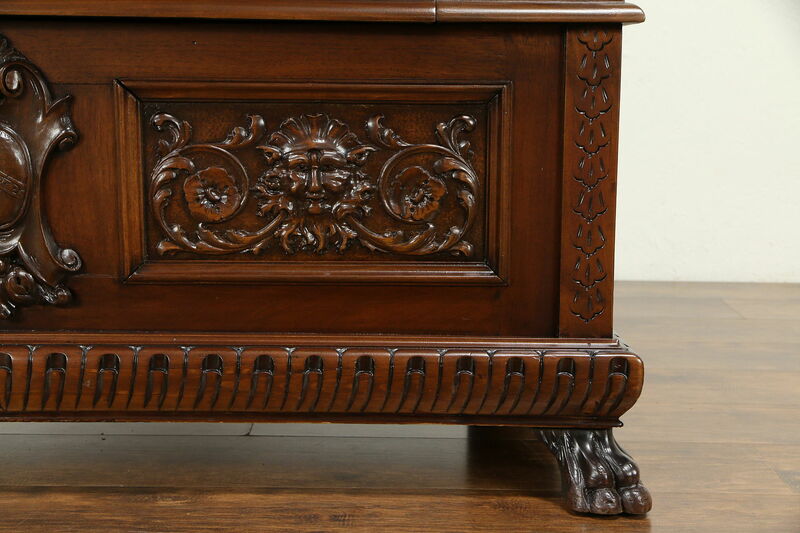 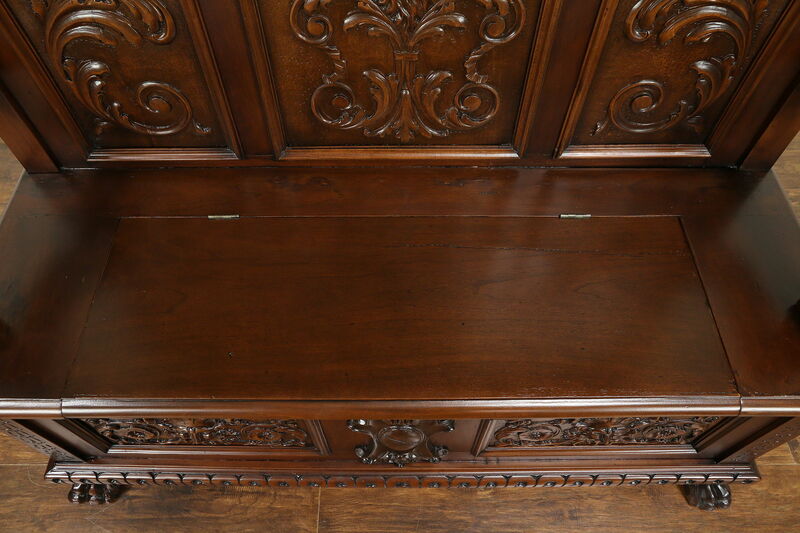 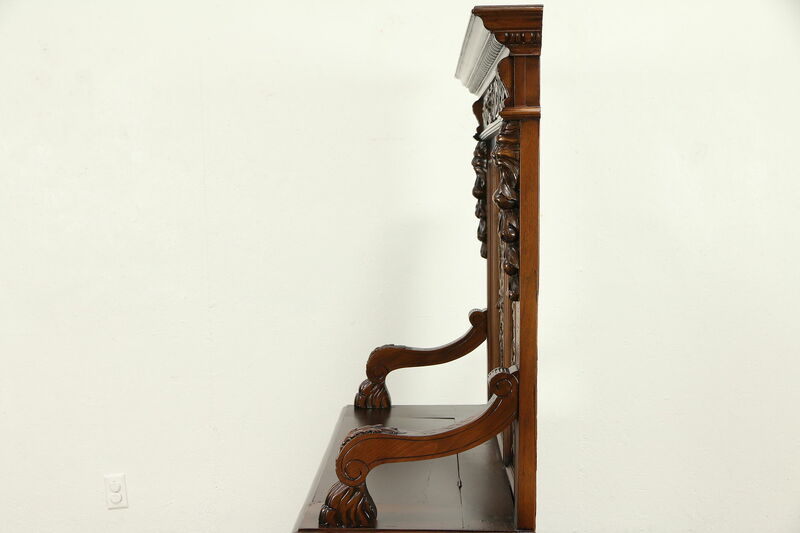 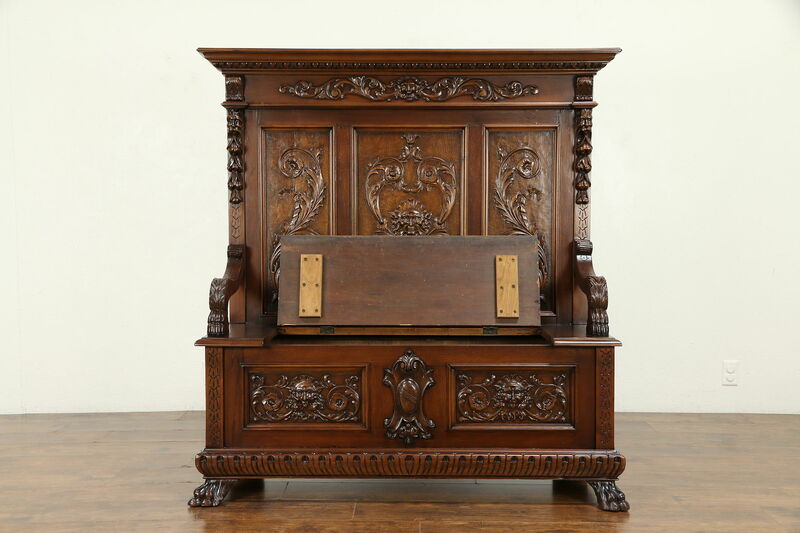 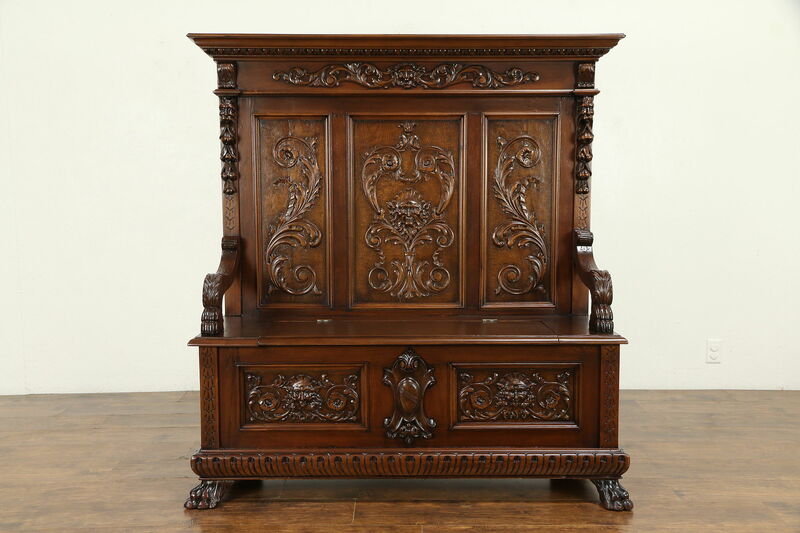 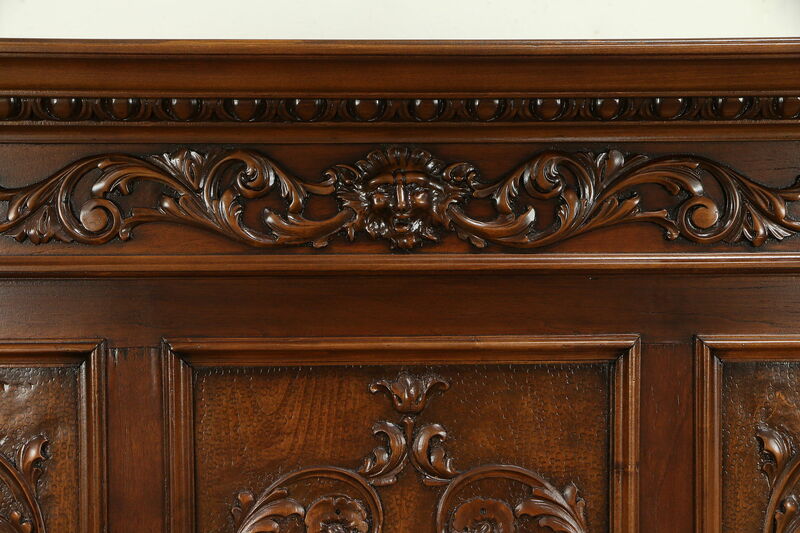 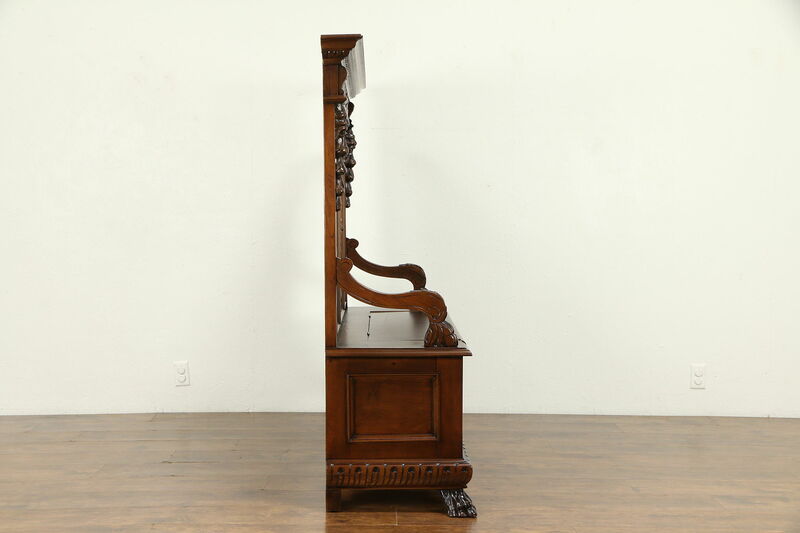 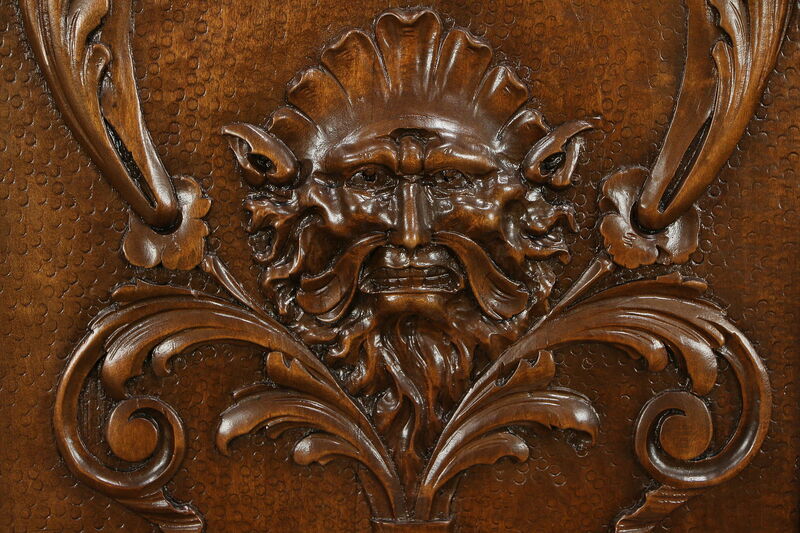 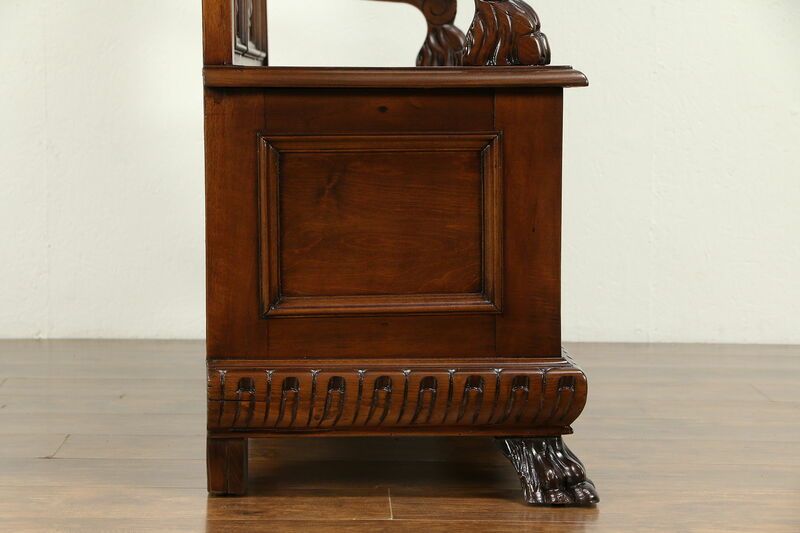 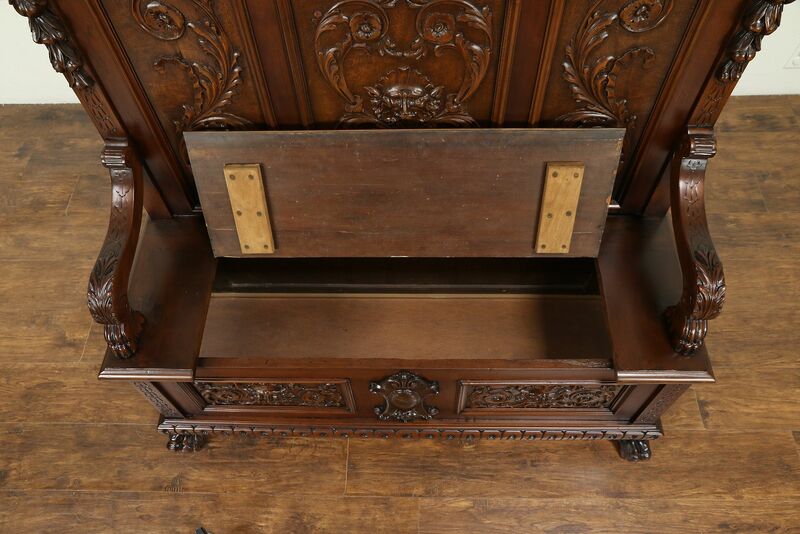 A splendid hall bench was hand carved in Italy of solid walnut with three dimensional sculptures of lion heads and paws, fruit and gargoyles about 1895. 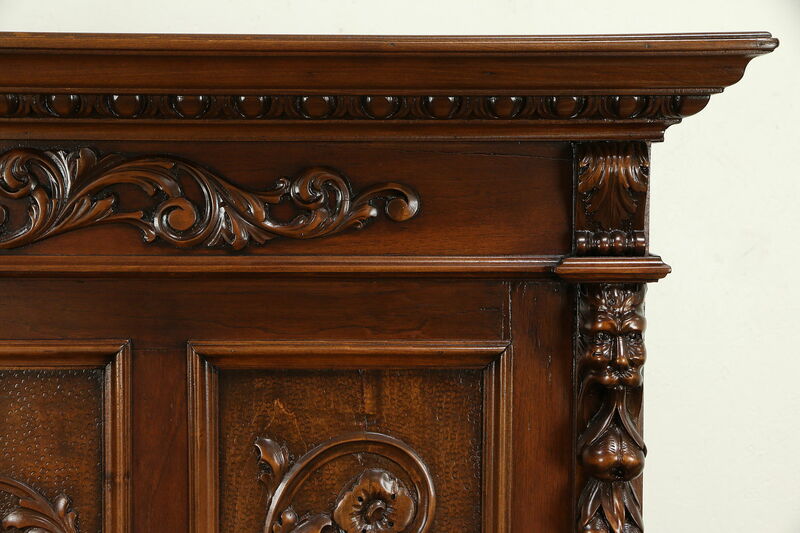 The restored gleaming finish is in excellent condition, preserving a few mars and shrinkage separations for a little antique character. 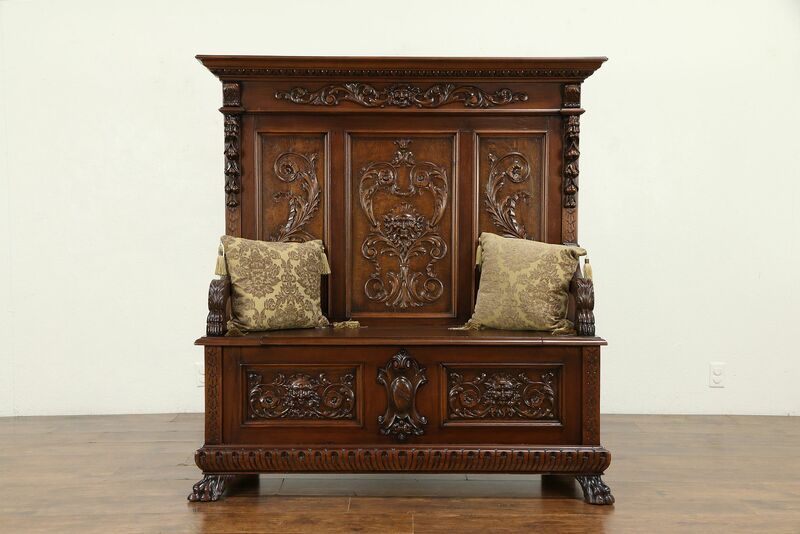 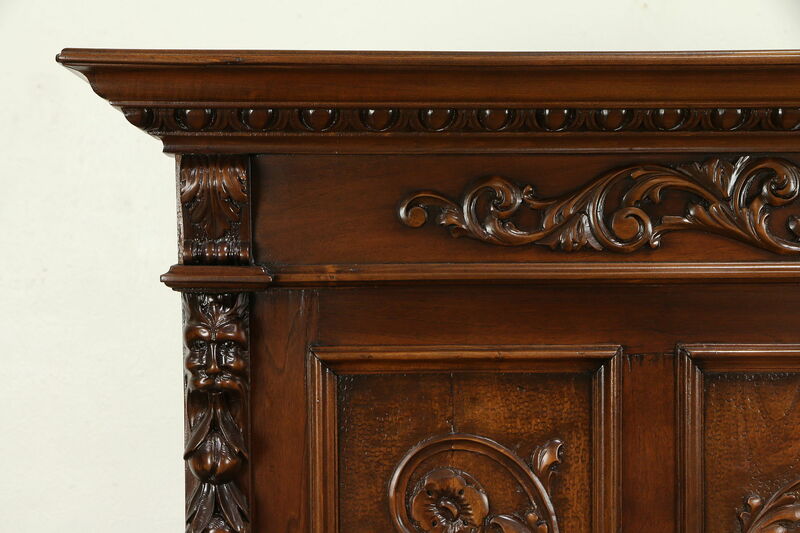 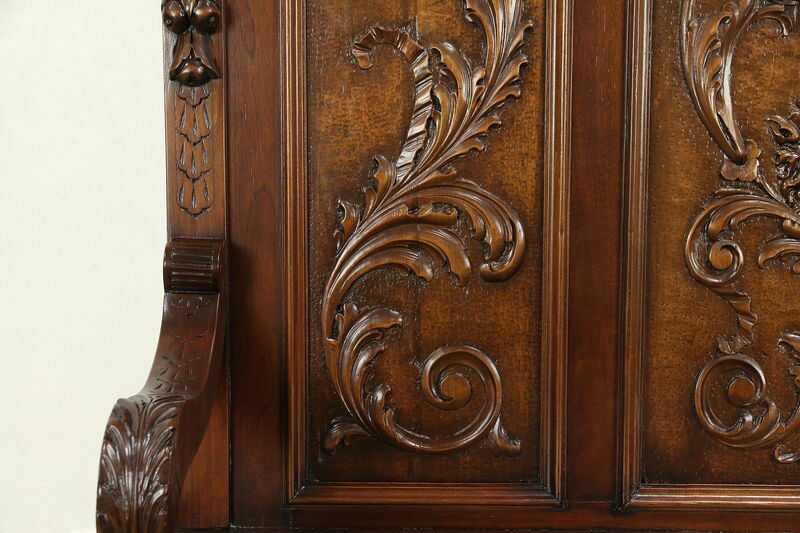 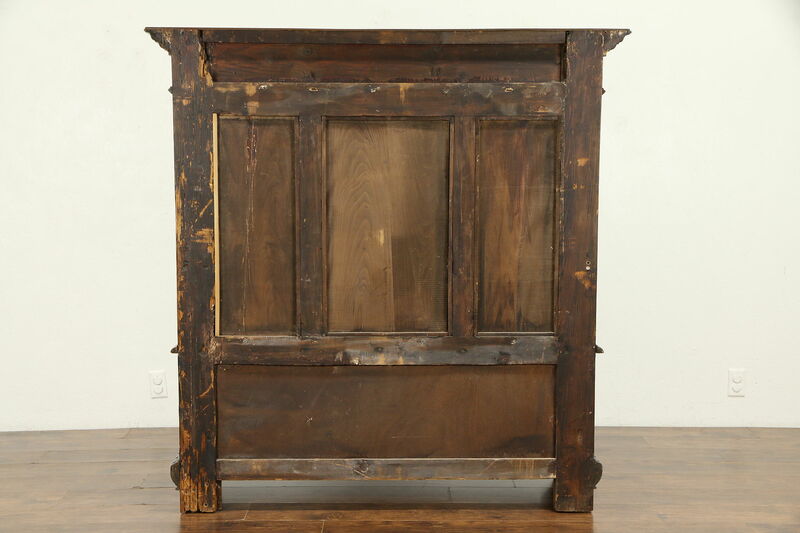 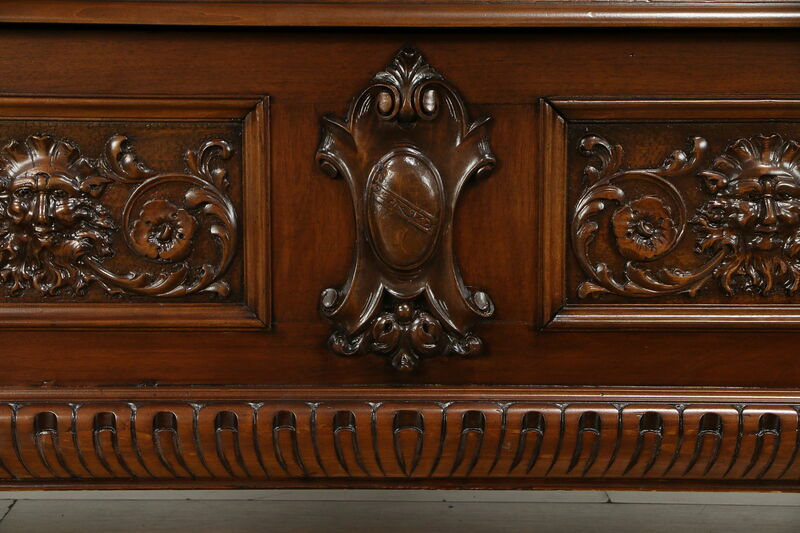 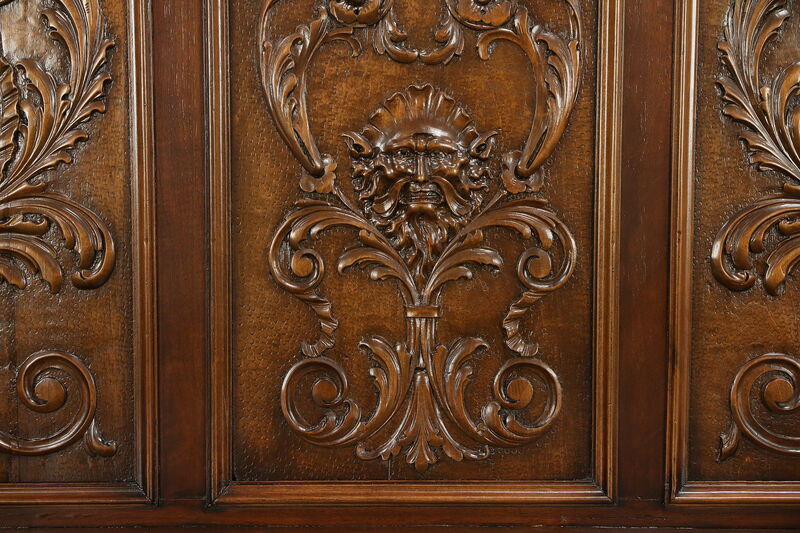 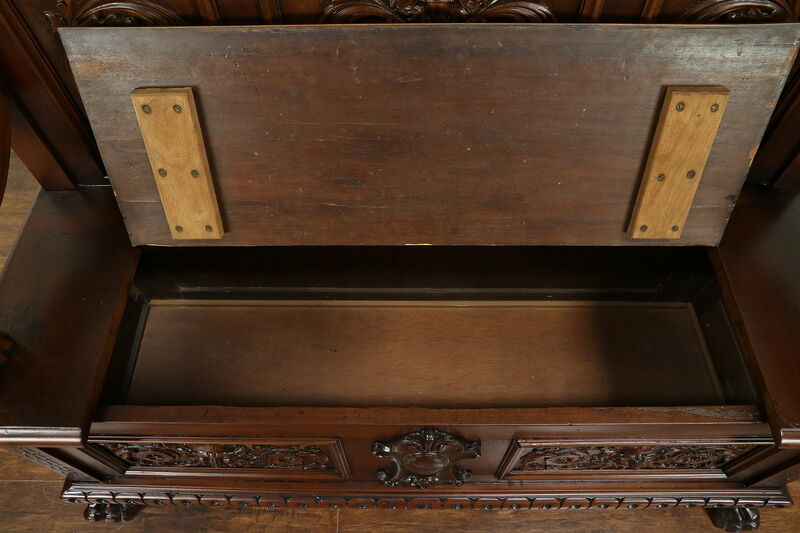 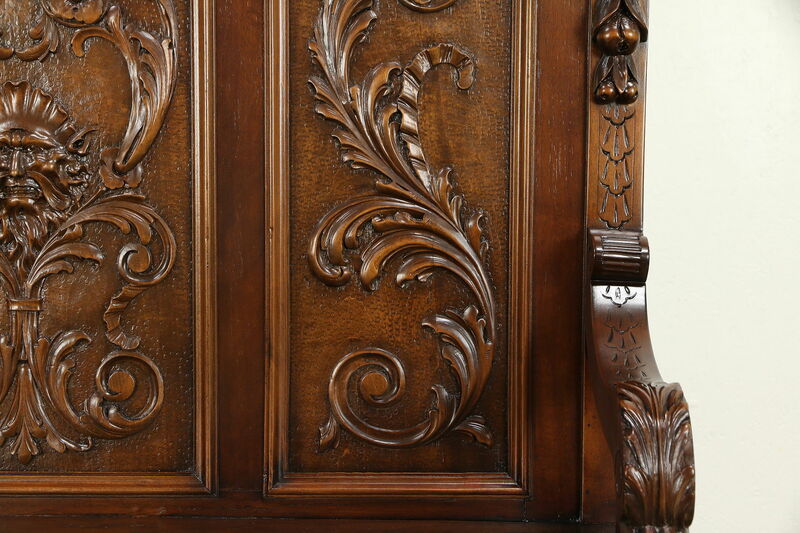 There is storage under the seat of this grand furniture from a palazzo near Milan. 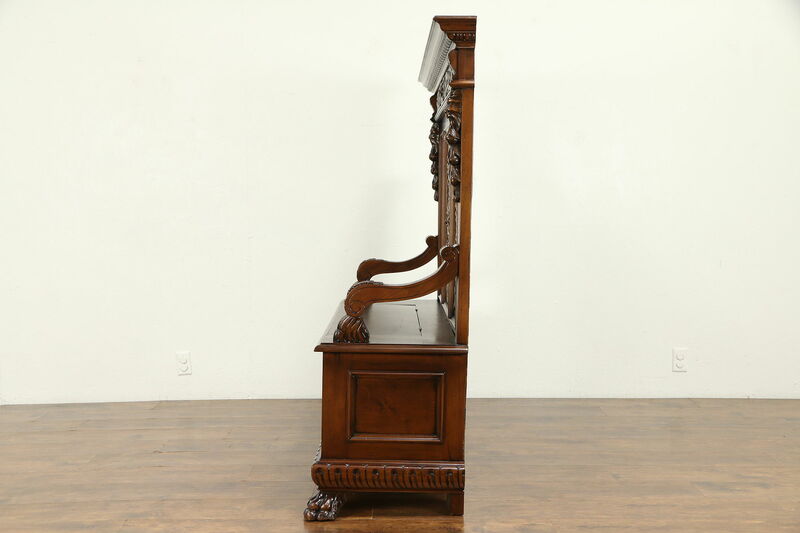 Dimensions are 58" wide tip to tip, 19" deep, 59 1/2' tall and the seat is 21" high.